Every once in a while, the stars align and the impossible happens: the person who’s just way out of your league reciprocates your feelings and the two of you eventually get hitched. Mischievous Kiss 2: Love in Tokyo (a.k.a. 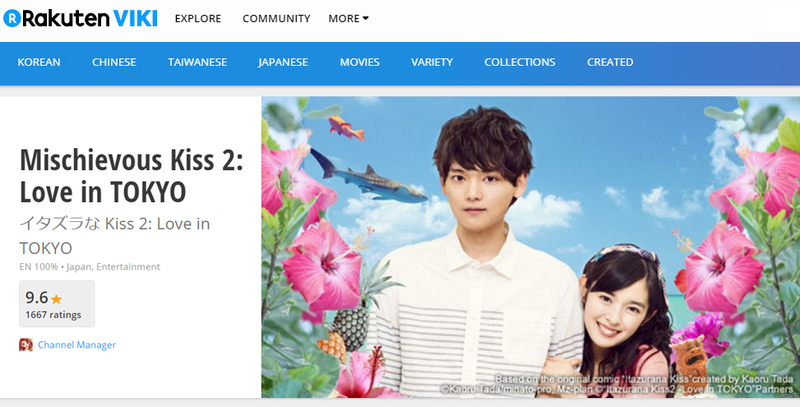 Itazura na Kiss 2: Love in Tokyo) continues the story that had our eyes leaking happy tears in Mischievous Kiss: Love in Tokyo. After 6 years, scatterbrained Kotoko and perfect genius Naoki are now married. But if you think things will be smooth sailing from here onwards, think again, because the insanity is just about to start. The critically acclaimed Japanese romantic comedy series already has fans clamoring for a third season. While we wait for that, however, we’ll have to contend with the tsunami of fake Mischievous Kiss 2: Love in Tokyo DVDs that pirates – hungry for our hard-earned cash – seem keen on sending our way. Beware Chinese online stores – they’re brimming with fake products, including but not limited to pirated DVDs. 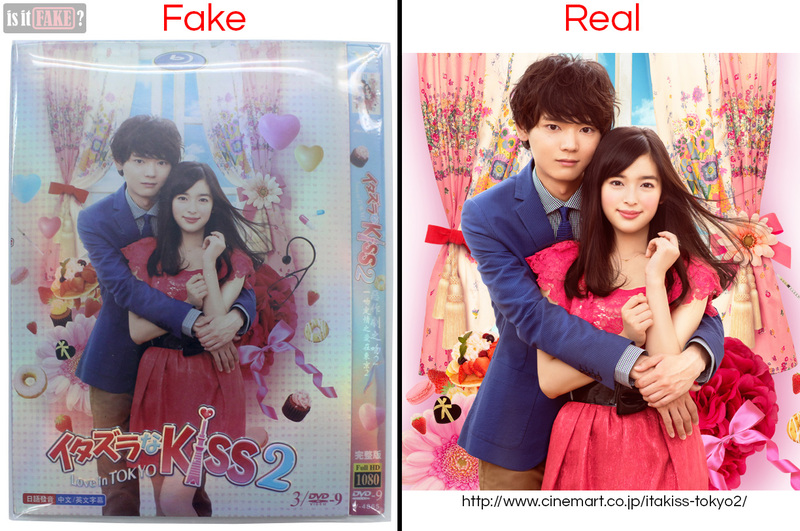 From a seller on Taobao, we acquired this fake Mischievous Kiss 2: Love in Tokyo DVD set. The seller identifies a certain Hu Wei-Pin as this product’s manufacturer. Hu Wei-Pin isn’t too forthcoming with information about itself. You won’t find any of its websites using search engines such as Google, and it doesn’t have any presence on social media. Hu Wei-Pin even went so far as to not include its logo on its item. This level of secrecy is not one you’d expect from a legit company. In fact, SPO Entertainment, the Japanese company behind the official Mischievous Kiss 2: Love in Tokyo DVDs, makes sure to adorn all its products with its name and information, including links to its official sites. Hu Wei-Pin’s furtiveness is highly suspicious – typical behavior for a pirate. 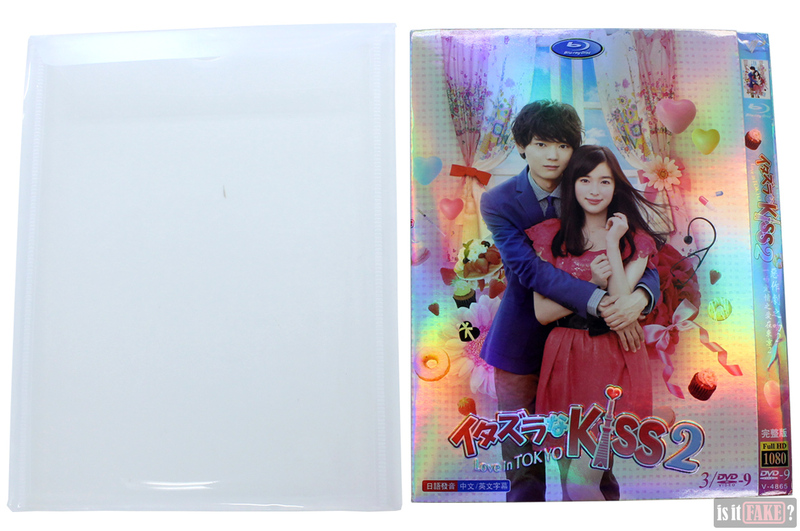 The fake Mischievous Kiss 2: Love in Tokyo DVDs come in several layers of packaging: an external clear plastic sheath, the outer cardboard folder, an inner folder, a blue DVD sleeve, and cloth and plastic wrappers housing the DVD discs. The outer folder is made of stiff cardboard with an iridescent surface whose rainbow-like colors shift in the light. It has an exterior side covered with images taken from official sources (such as this, this, this, and this) and spreads open to reveal more of such images. 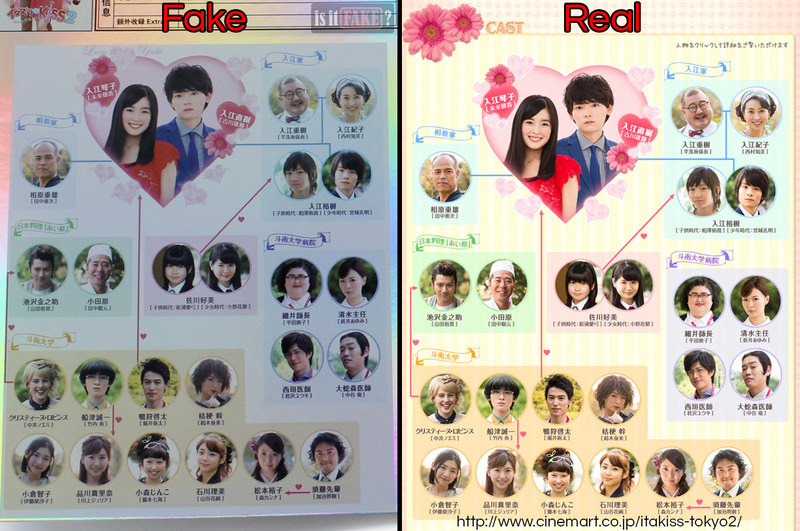 In addition to the official photos, the fake Mischievous Kiss 2: Love in Tokyo DVD set also makes use of the series’ official logo. You can even find Japanese characters all over the packaging. All these efforts lend the product the look of legitimacy. Thankfully, all it takes to realize something’s off with it is a couple of more seconds of scrutiny. First, you’ll observe the print quality of the pictures isn’t excellent. The colors are a tad flatter, and are simply not as rich as those of the official photos you find online. The second weird detail you’ll notice is the Blu-ray logo on the outer folder. According to the fake’s online store page, this set is composed only of DVDs. 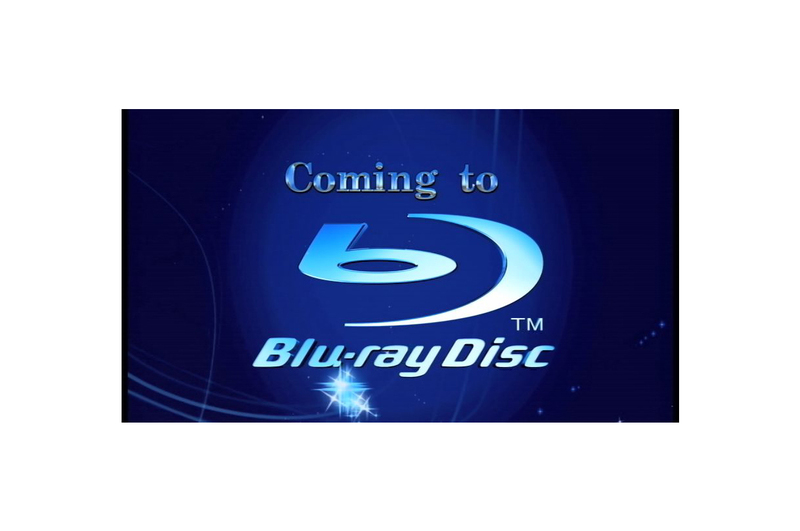 This makes the addition of the Blu-ray logo on the packaging not only confusing, but an outright lie. On the other hand, you might wonder if this product contains both Blu-ray and DVD discs in a single package. While such official “combo packs” do exist, they often provide a clear statement about their contents. 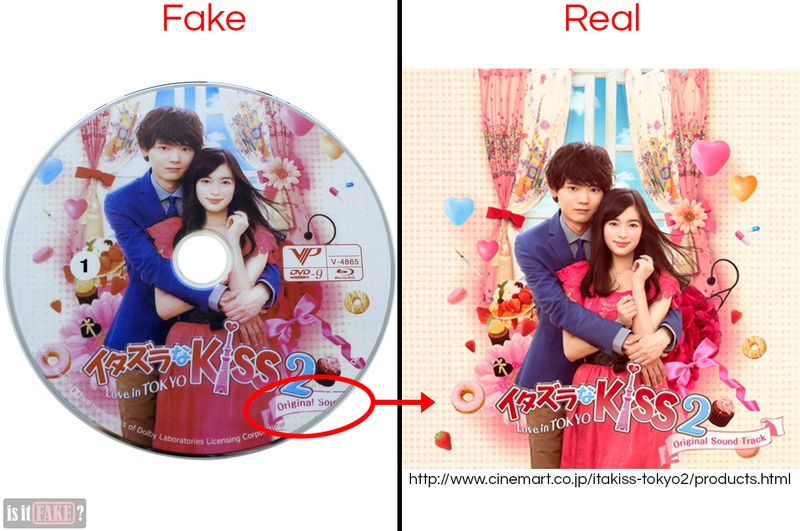 Unfortunately, this fake Mischievous Kiss 2: Love in Tokyo DVD set makes no such clarifications, leaving the buyer to wonder whether they’re getting DVDs, Blu-rays, or both. 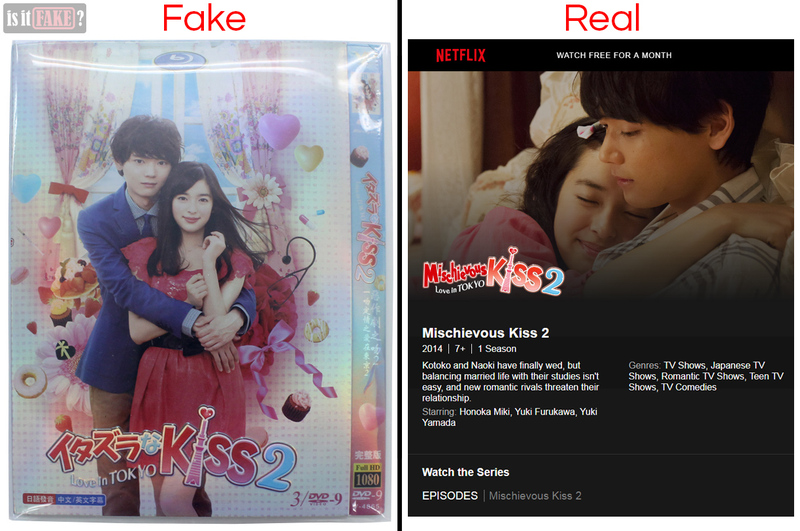 Far more peculiar is the presence of Chinese script on the packaging, especially because no Chinese company has ever acquired the rights to produce/distribute DVDs of Fuji TV’s Mischievous Kiss 2: Love in Tokyo. Even more alarming, the packaging makes no mention of Fuji TV (the Japanese television network that produced the show), or SPO Entertainment (the only company that published the show’s official DVD and Blu-ray products). All licensed products are festooned with such information – they need to be, lest their manufacturer/distributor be sued for misrepresenting licensing/intellectual property rights. 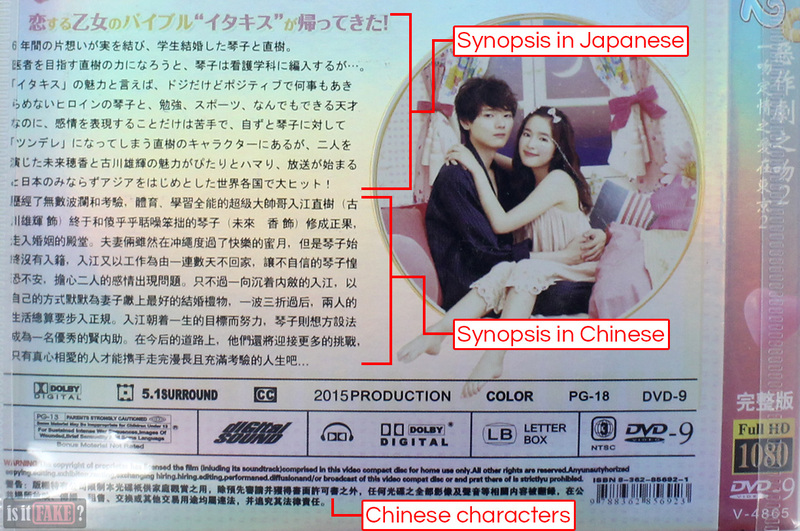 The absence of such information suggests whoever was responsible for this fake Mischievous Kiss 2: Love in Tokyo DVD set isn’t concerned with the law. You do see the VIP logo – which we’ll discuss in a bit. The outer folder opens to reveal an inner folder made of paper. Printed on this exterior side of this inner folder are the same artworks featured on the outer folder. On its interior side is another official image you can find on any of the official Mischievous Kiss 2: Love in Tokyo websites. Squeezed between the inner folder’s sides is a blue DVD sleeve chock full of Chinese characters and emblazoned with the VIP logo. As there’s no information about VIP on the internet, it’s hard to say who exactly they are, and how they’re related to Hu Wei-Pin. 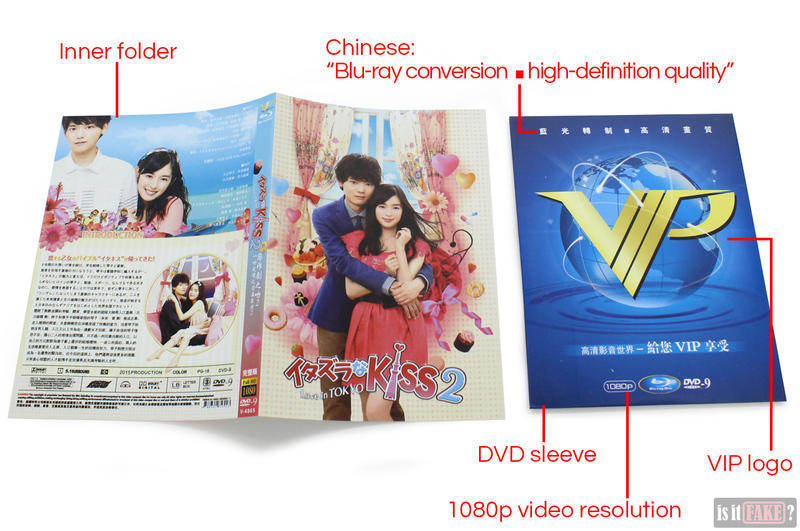 Judging from the infographic and Chinese characters on the blue sleeve, however, it seems VIP is responsible for converting Blu-rays to DVDs. 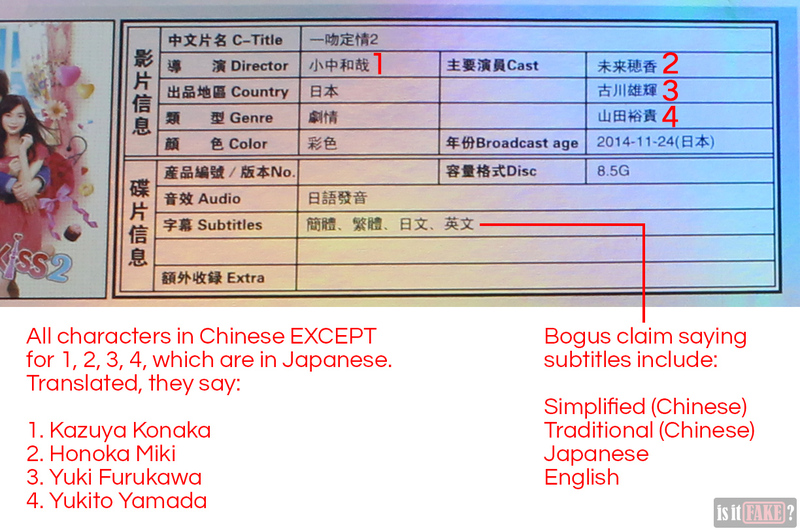 While this suggests the fake Mischievous Kiss 2: Love in Tokyo DVDs are direct rips of SPO’s official Blu-ray product, the DVDs’ contents cast doubt on such a conclusion (more on this further below). The blue sleeve contains three DVD discs wrapped in flimsy cloth and plastic. The art on the top of each disc is an official image originally used for the Mischievous Kiss 2: Love in Tokyo original soundtrack CD. The DVDs produce an uncomfortable scratching noise when run by our DVD player. Despite giving us the fright that our machine is getting destroyed, the discs work. You’ll notice several strange things about the main menu. For one, while the Japanese title/logo is identical to the series’ official title/logo, the Anglicized “Love in Tokyo” looks different. As seen in previous images, the “Love in Tokyo” portion should not be written in a straight line, but a squiggly one. You’ll also see a lot of Chinese characters. The same problems are repeated in the episode selection menu. Overall, both menus look ugly, as if their look and layout were designed by amateur graphic artists. 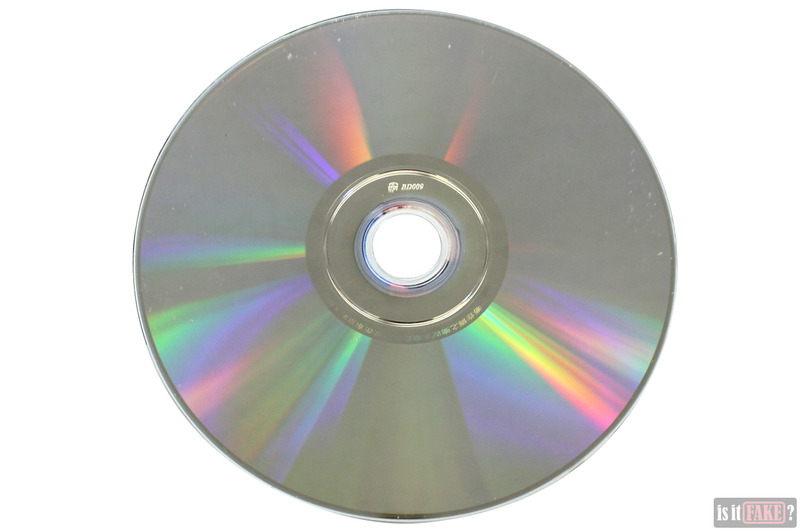 As for the episodes themselves, their video quality is poor – not at all the HDTV high definition 1080p resolution as stated on the blue DVD sleeve. To be specific, it’s a measly 853 x 480 px, not 1920 x 1080 px. Another lie is that these DVDs include English subtitles. The truth is these fakes only come with Chinese hardsubs and Japanese audio. If you’re unfamiliar with these two languages, good luck trying to understand and enjoy the show. Ready for the great news? 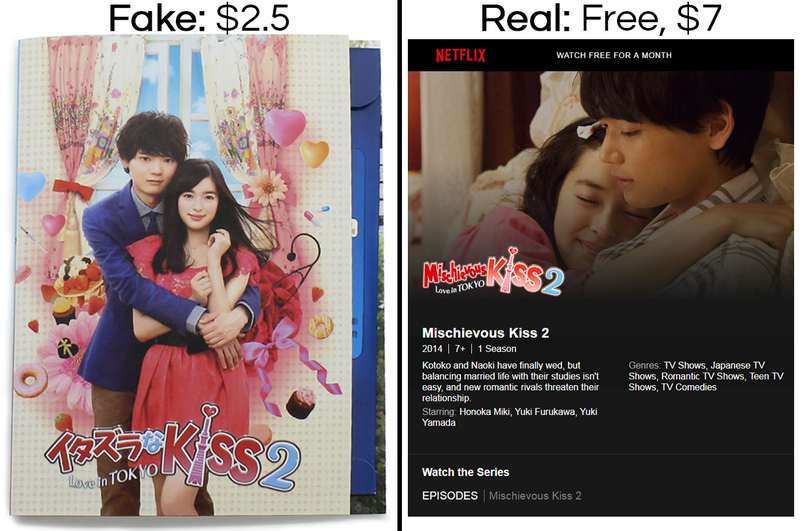 You don’t have to shell out cash at all to watch Mischievous Kiss 2: Love in Tokyo – although paying the cheap subscription fee for any of the following Video on Demand services will net you hundreds upon hundreds of hours of quality shows. Netflix offers a free trial for anyone interested in their services, allowing you to watch Mischievous Kiss 2: Love in Tokyo for free for one month. If, after that trial period, you’d like to continue using Netflix, you’ll have to pay a minimum of $7 a month – not a bad deal, given you’ll have access to hundreds of shows from all over the world, all of them boasting excellent quality. The equally affordable $10 monthly subscription fee even lets you view shows in HD or Ultra HD. Like other Korean dramas on Netflix, Mischievous Kiss 2: Love in Tokyo comes with several subtitle options, including English and Japanese. 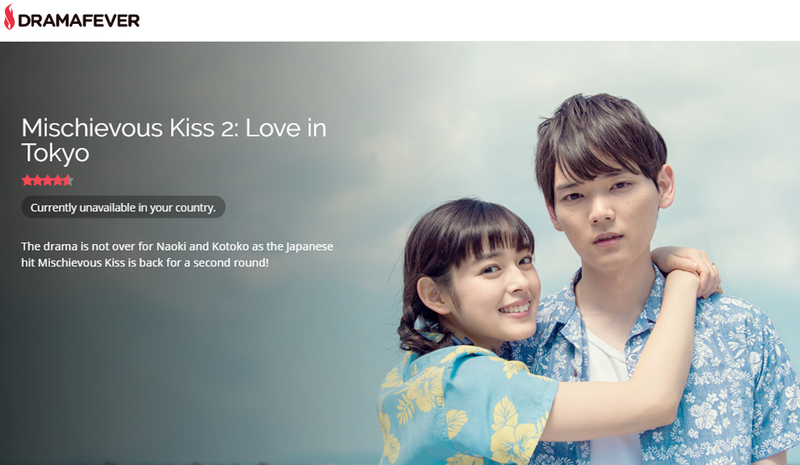 Also like the previous series, you can watch Mischievous Kiss 2 : Love in Tokyo on Viki. This service, while free, isn’t available in all regions, however. Both seasons of Mischievous Kiss: Love in Tokyo are also free on Dramafever. Again, this service is not available in all regions. You can even watch the shows on Crunchyroll, though again, their availability depends on where you live. If you’re into collecting DVD or Blu-ray products of your favorite shows, it’ll cost you a bit more. Thankfully, all official Mischievous Kiss 2: Love in Tokyo products are worth the price. Check out the official Mischievous Kiss 2: Love in Tokyo website for all products related to the show. As you can see on this page, these products include DVDs and Blu-ray box sets. The official Mischievous Kiss 2: Love in Tokyo DVD/Blu-ray box sets come in two parts, the first containing episodes 1 to 8, the second episodes 9 to 16, all of them with the English subtitle option. The page links to online store Cinemart, where you can purchase each DVD box for $114 and each Blu-ray box for $143. Each box comes with bonus goodies, including a booklet, cast interviews and behind-the-scenes footage. 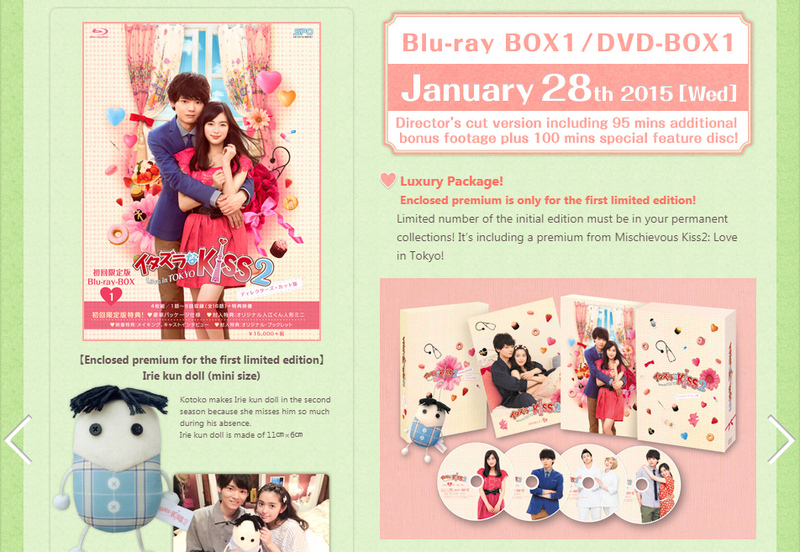 You can even buy the DVD/Blu-ray of the special Mischievous Kiss 2: Love in Okinawa episode. Just visit this page for the details. Interested in other legal Video on Demand sites? 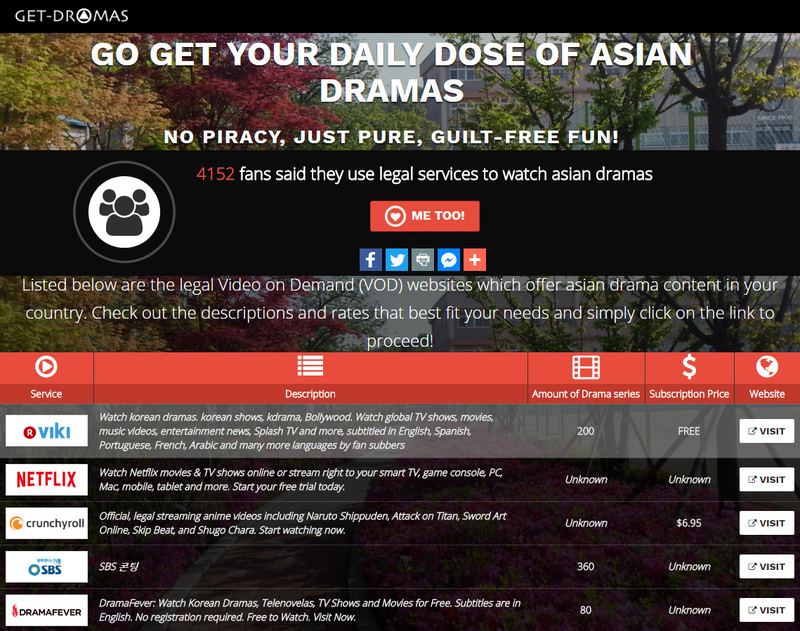 Check out our Get-Dramas page! With its inferior video quality and absence of English subs, this pirated Mischievous Kiss 2: Love in Tokyo DVD set leaves a lot to be desired. In addition, its packaging isn’t up to par with the boxes of official DVD/Blu-ray products, making it a poor display item. We’re giving it an 90% terrible rating.